Coaching News: Kehler to Europe, McLellan Staying? A couple of former members of the Bronco coaching staff are in the news. 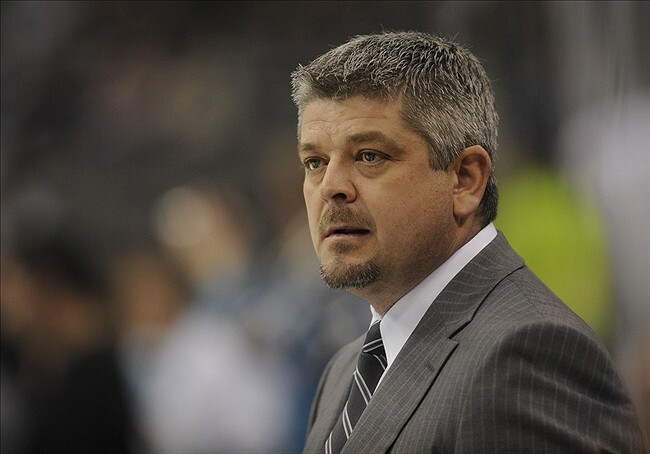 Multiple reports say former Swift Current Coach/GM Todd McLellan will remain behind bench for the San Jose Sharks. Sharks GM Doug Wilson won’t confirm those reports. There was some speculation McLellan could pay for another early round exit, but multiple news reports say he will be staying put. The Bronco Hall of Famer has an exceptional reputation and I’ve heard several people say that if he was ever available he would be snapped up by another team quickly. I think the Sharks are in a tough position. Their core feels like it has gone as far as it can go. Can they tinker and get more out of what they have there? I’ve always liked them and the way they play… so I hope they can. Meanwhile, as first reported (at least that I saw) by Jon Keen, former Broncos assistant Tim Kehler has landed a job overseas. He will be the head coach the Miskolc Polar Bears in Hungary. Kehler’s most recent job saw him win BCHL Interior Coach of the Year while leading the Salmon Arm Silverbacks in 2010-2011. He also had a very strong run as Head Coach of the Trail Smoke Eaters. Our paths crossed there briefly and I just missed working with him in Swift Current so I don’t know him very well… but I always hear lots of good things about him. I hope Hungary turns out to be a great opportunity that leads him where he wants to go. In other coaching news we heard this week that Cory Clouston would not be returning to Brandon. Wheat Kings play-by-play man Bruce Luebke posted a very blunt assessment of the situation on his blog. It’s a very interesting read. I’ve had a few people ask me my take, but I wasn’t near close enough to what was going on in Brandon to really know. We all heard rumblings of discontent. I did note that their major struggles tended to be during the long period when starting goaltender Corbin Boes was injured. When Boes was healthy Brandon was a very tough out and I don’t know if I’d say they underachieved. It’s tough to get past the second round in this league and that’s especially true when a team as good as Edmonton was standing in your way. Clouston maybe doesn’t have a warm and welcoming style, but he has proven himself as a coach before. I’m sure he will again. Sometimes you just don’t find a fit. The organization is saying that basically they didn’t want to sit around waiting to see if he would get a pro job before making plans for their coaching staff. That also makes sense to me. However, if Clouston doesn’t get a job anywhere else right away and they have to eat his contract… would that make it financially prudent for GM and former Head Coach Kelly McCrimmon to step back behind the bench again? It’s not like he hasn’t had tremendous success doing both jobs before. The Edmonton Oilers didn’t renew Tom Renney’s contract today so they’re looking for a new Head Coach. All the speculation has been focused on Brent Sutter. He certainly has a strong resume with young players from his time with Red Deer and the World Junior team. There is also some talk Derek Laxdal is in that mix because of the success he has had with the Oil Kings. Either way I’m sorry to see Renney lose his job. He’s a former Smoke Eaters coach and has a home in the Kootenays, so I met him a few times when I was working in Trail. I don’t know if I’ve met many friendlier more accommodating people in the game. He also remembered who I was after only meeting me briefly two years before seeing me again. It’s a small thing… yet it isn’t. He’s a good man and has proven to be a very good coach at several levels of hockey. I hope he gets another chance in the game again soon. This entry was posted in Uncategorized and tagged Brent Sutter, Cory Clouston, Derek Laxdal, Tim Kehler, Todd McLellan, Todd Nelson, Tom Renney. Bookmark the permalink.